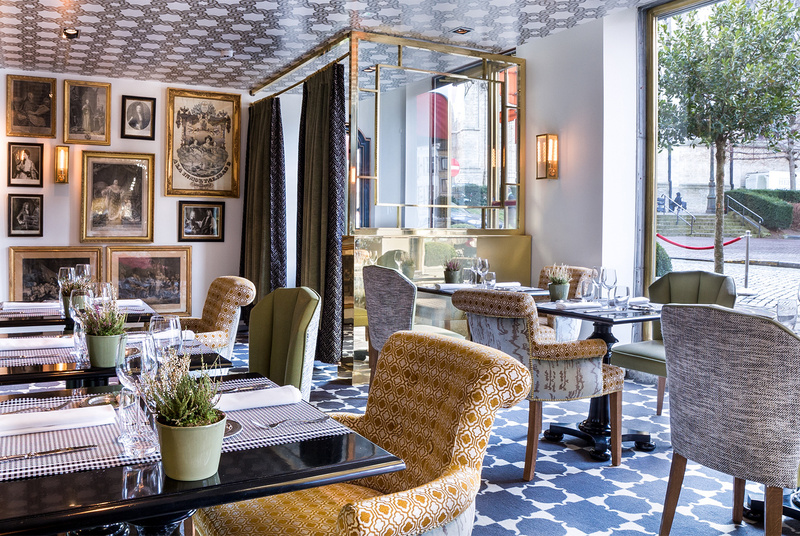 The Brasserie is located at the Grand Sablon Square and has been decorated by the designer Lorenzo Castillo. It offers the best selection of Spanish dishes and tapas, as well as local specialties and its bar offers a great variety of drinks from Champagnes to wines. The menu has been created by Marcos Moran, our Michelin star chef, offering Spanish classics such as ham croquettes, octopus carpaccio with paprika potatoes and the famous “fabada” from Asturias (a unique bean stew with chorizo and black pudding), Salmorejo (tomato soup mixed with bread dry tuna and grapes) and black rice with cuttlefish and prawns. Our wine list includes wines from the most renowned vineyards in the most traditional wine areas in Spain: Rioja, Ribera del Duero, Galicia, La Mancha, etc.